Hot on the heels of the news Jack Bannon has come on board to play Alfred Pennyworth, EPIX announced Ben Aldridge has joined the cast of Pennyworth. Aldridge has signed on to play Thomas Wayne, Bruce Wayne/Batman’s father, in the upcoming dramatic series. 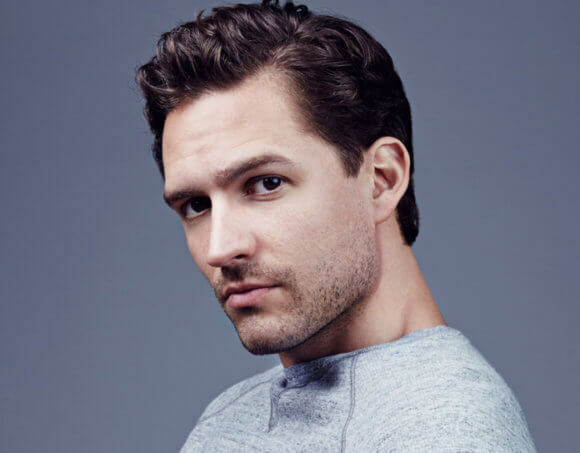 Ben Aldridge’s acting credits include Skinny Dip, Paris Song, The Titan, and The Railman Man. He was also featured in the TV shows Reign, Fleabag, and Our Girl. Filming will take place at Warner Bros. Studios Leavesden in the United Kingdom starting on October 22, 2018. According to EPIX and Warner Horizon Scripted Television, the series’ first season will consist of 10 one-hour episodes. Pennyworth is based on the DC characters created by Bob Kane with Bill Finger. The new comic book-inspired series comes from executive producer/writer Bruno Heller (Gotham, The Mentalist, Rome) and executive producer/director Danny Cannon (Gotham, CSI series). Gotham, which features Sean Pertwee as an older Alfred Pennyworth, will be coming to an end with its upcoming fifth season airing in 2019. The series follows Bruce Wayne’s legendary butler, Alfred Pennyworth, a former British SAS soldier in his 20s, who forms a security company and goes to work with a young billionaire Thomas Wayne, who’s not yet Bruce’s father, in 1960s London.